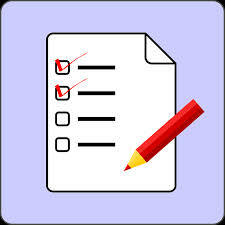 A several weeks ago we have informed that PMI issued a draft version of PMP Content Outline. Now PMI has published the complete Examination Content Outline. Together with the PMBOK Guide, this document is the most important source and syllabus for PMP exam. It was updated with the cross-cutting knowledge and skills and can be found here: http://www.pmi.org/~/media/PDF/Certifications/pmp-certification-exam-outline.ashx. As PMI informs, Exam Content Outline is now final. The changes are results of the recently completed Role Delineation Study (RDS) which provided an updated description of the project management professional role. This research included a large-scale survey of global Project Management Professional (PMP)® certification holders. The goal was to validate the planned updates in domains, tasks, knowledge and skills. Research included project management practitioners from all industries, work settings and regions. 1 November is the last day to take an exam under current version of PMP exam. After this date, this version will not be administered.